Katrin Sigurdardóttir, Unbuilt 5, Magnús Th. S Blöndal Residence, Sólvellir 18, 1925; Architect: Einar Erlendsson from Unbuilt Series, 2012, Iceland. Courtesy of the artist and Meessen De Clercq, Bruxelles. 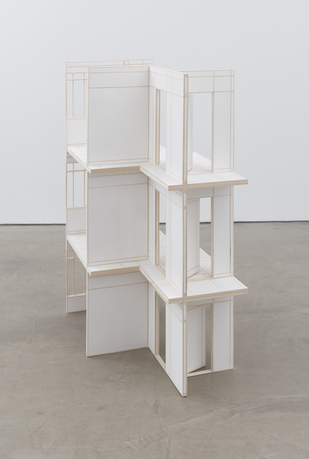 This solo exhibition of the work of Icelandic artist Katrin Sigurdardóttir examines the way physical structures and boundaries affect perception. 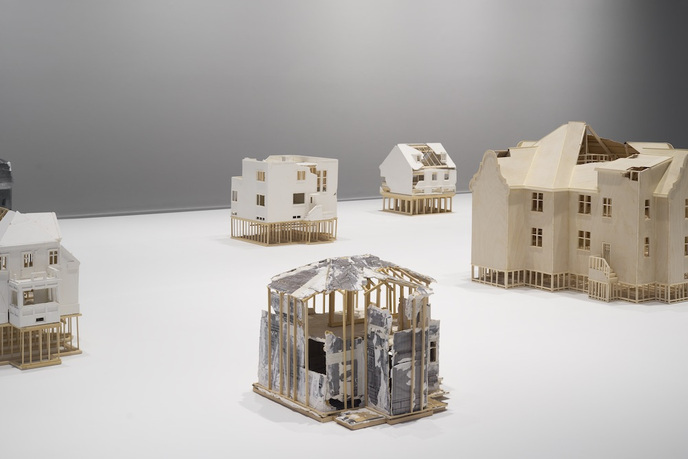 Her works gesture toward real locations, employing shifts in scale and fragmentation to systematically question the veracity of both memory and history. Two new bodies of work are commissioned from the artist for her debut exhibition in New England, Drawing Apart. 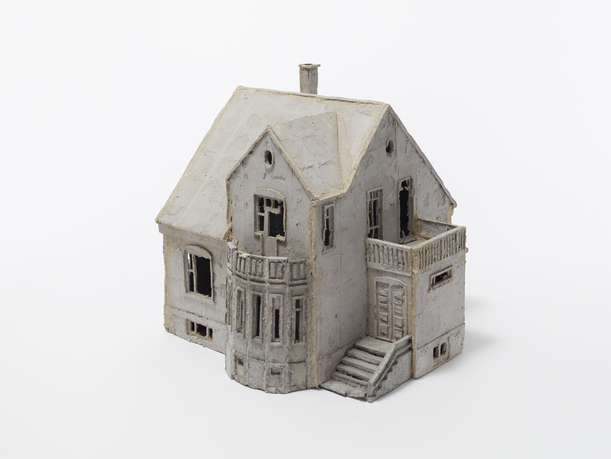 In the series Ellefu, objects are abstracted, miniaturized constructions based on the artist’s childhood home in Reykjavík. 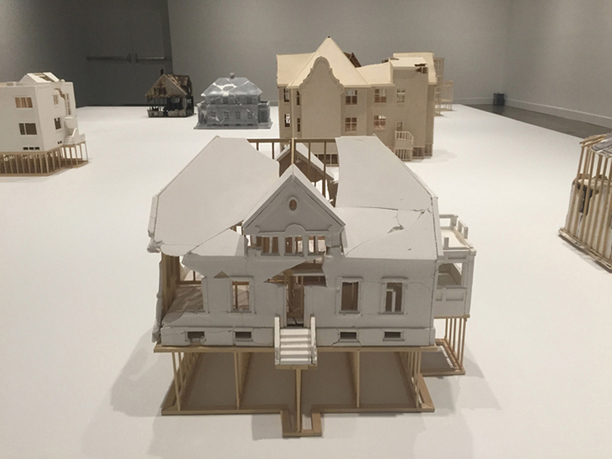 Working mostly from memory, she created detailed models of the spaces that informed her childhood. 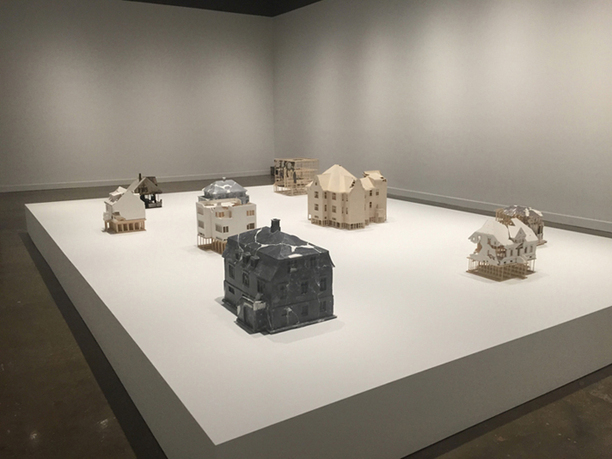 The series Unbuilt Residences in Reykjavík, 1925-1930 relies on unrealized architectural drafts of houses that the artist used to create miniature models. 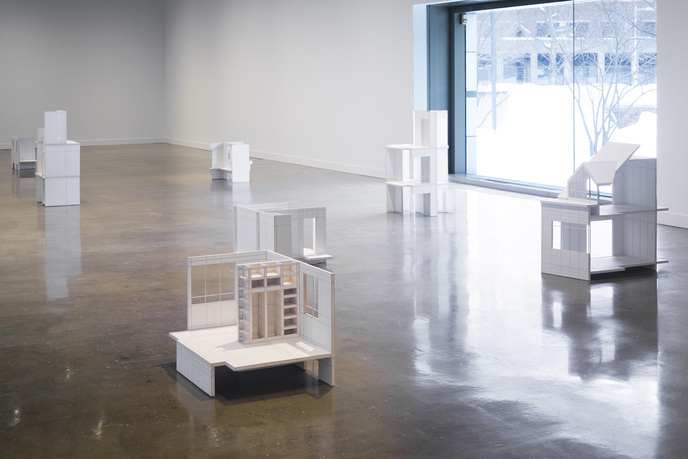 The model are then "altered" or "destroyed" before being exhibited in an effort to demonstrate how Iceland’s modern architectural history is the product of design as much as it is chance. Katrin Sigurdardóttir, born in Reykjavík, Iceland, is currently based in New York. For over twenty years, her work has been shown in Europe, North America, and South America. She has been highlighted in a variety of solo exhibitions, including those at the Metropolitan Museum of Art, New York (2010); MoMA PS1, New York (2006); FRAC Bourgogne, Dijon, France (2006); Sala Siqueiros, Mexico City (2005); and Fondazione Sandretto, Turin, Italy (2004). Most recently, she represented Iceland in the 55th Venice Biennial; that project is being presented at the Reykjavík Art Museum and SculptureCenter, New York. List Center director Paul C. Ha has over twenty-five years of professional experience in art and museum administration and curating. Previous to the List, he was the director of the Contemporary Art Museum St. Louis, deputy director of Yale University Art Gallery, and executive director of White Columns, New York's oldest nonprofit visual art space. Ha has curated and worked with more than 100 artists, including many receiving their first major museum exhibitions with his support, such as: Laylah Ali, Lutz Bacher, Christoph Büchel, Yun-Fei Ji, Kambui Olujimi, Alexander Ross, Aïda Ruilova, Gedi Sibony, and Sarah Sze. Other artists he has worked with include: Chantal Akerman, Richard Artschwager, Jim Hodges, Maya Lin, Olivier Mosset, William Pope.L, and Cindy Sherman. Jeffrey De Blois is a curatorial fellow at the MIT List Visual Arts Center. He holds a master's degree in the history of art and architecture from Boston University. Established in 1985, List Visual Arts Center aims to reflect and enhance MIT's position on the leading edge of investigation into the world, using contemporary art as the vehicle of presentation and analysis, and to present, through an ongoing and internationally recognized series of changing exhibitions, the highest quality, most challenging contemporary art and design by professionals practicing in diverse media.